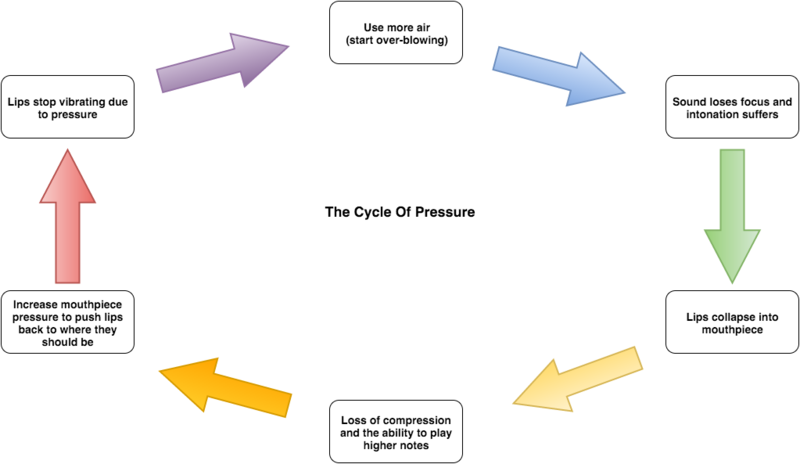 Here is a flow chart illustrating something that I refer to as The Cycle of Pressure. I have scribbled it on paper for my pupils so many times that I decided to make a digital copy to refer to instead. Due to the template I used I ended up adding some more detailed steps. 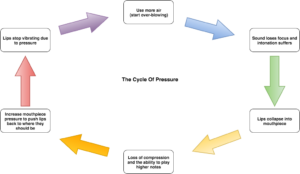 Be aware that as you are playing you could fall into this cycle at any point. The solution is to learn to recognise the symptoms and get out of the cycle before it’s too late!